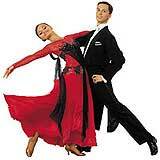 North Sydney, Lower North Shore: Broadway Dance Studio offers professional and fun Ballroom, Latin & Salsa classes. 75 Shellcove Road, Neutral Bay. Please note, due to risk of floor damage, no stiletto heels are permitted (requirement of Anglican Church). Dancing shoes, thin soles or soft flexible shoes are recommended – no joggers, boots or thick rubber soles. Easy to get to by Bus and Ferry.